Offered to the esteemed customers is an excellent range of Split Sleeves at highly competitive prices. As per the necessities of the patrons, we are involved in offering the best quality Metal Split Sleeve. Also availabe Split Sleeves for Drills. - Made from best quality spring steel EN-47 and appropriately hardened. - Split Sleeves are made both for Taps and Straight Shank Drills. A complete UL Classified solutions for new and existing cable penetrations through walls and floors. 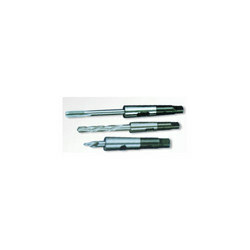 Drilling Size of 4mm to 8.5mm, 3/16" to 21/64"